In order to successfully survive in a changing environment, animals must be able to combine sensory inputs with information about their own movement. Complex motor behaviors, like walking or riding a bike, would be difficult to perform without feedback signals such as the sense of the feet touching the ground or the perception of movement with respect to the world. Scientists from the Max Planck Institute of Neurobiology in Martinsried use zebrafish as a simple vertebrate model to study how different kinds of sensory and motor information map onto the cerebellum. Their recent study shows that scientists need to rethink about how this large and important part of the brain of all vertebrates, including humans, works. Facebook, Instagram, Twitter – nowadays, good social networking and communication is more important than ever. The immune system also resembles a large social network, as shown by Felix Meissner and his team in the Experimental System Immunology Research Group at the Max Planck Institute of Biochemistry in Martinsried. With the help of proteomics they deciphered the messages exchanged between immune cells responsible for protecting us against diseases. In doing so, they have discovered complex cellular communication structures and previously unknown connections between various cell types. Their research findings were published in the journal Nature Immunology. Social networks such as Facebook now connect people around the globe, for the exchange of countless messages and pieces of information every day. Some people prefer to use social networks passively, only reading messages, while others have a strong need to communicate with others and tend to send out a large volume of information. The cells of our immune system work in a similar manner. When cells wish to communicate with each other, they emit messengers, unique signal molecules, which are detected by other cells via cell surface receptors. These messengers disseminate information throughout the body to control immune reactions against pathogens. Some cell types are more communicative than others. “Innate immune cells such as macrophages are real chatterboxes,” Meissner says. Schopf FH, Biebl MM, Buchner J.
Nat Rev Mol Cell Biol, 2017, [Epub ahead of print]. FEBS J. 2017, 284, 1178-1181. Conditional protein depletion is highly desirable for investigating protein functions in complex organisms. In this issue, Bence and colleagues combined auxin-inducible degradation with CRISPR, establishing an elegant tool to control protein levels. 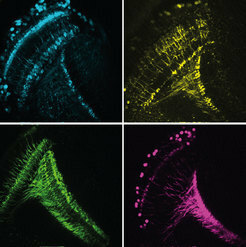 They achieve precise spatio-temporal control of protein degradation during Drosophila oogenesis and early embryogenesis by combining suitable GAL4 drivers (spatial control) with auxin feeding protocols (temporal control). 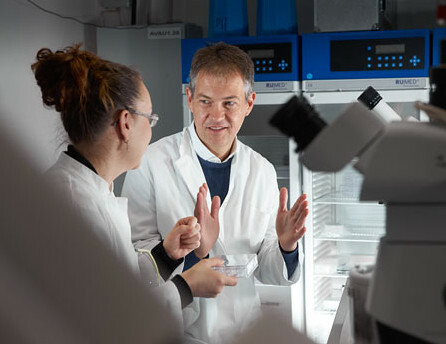 Biochemist Karl-Peter Hopfner studies how cells detect and repair the damage to their DNA. His work has now won him Germany’s most prestigious prize for research. The magnitude of the repair job is mind-boggling: Every day, around 100,000 of the building-blocks (‘bases’) in the genomic DNA of virtually every cell in our bodies suffer damage, and are chemically altered. Left unrepaired, these alterations in our genetic material can kill cells, induce the development of tumors, precipitate premature ageing and cause congenital diseases when they occur in germ cells. However, evolution has equipped cells with highly efficient mechanisms for the repair of DNA damage. At LMU’s Gene Center Karl-Peter Hopfner is studying the complex molecular machines that make it possible for cells to locate adventitious damage and enzymatic errors and repair or remove the modified bases. With the aid of high-resolution methodologies such as X-ray crystallography and cryo-electron microscopy, Hopfner elucidates the structures and modes of action of the molecular machines that tackle this gargantuan task. In order to develop effective treatments for disorders that result when these systems themselves are defective, detailed knowledge of their molecular form is an essential prerequisite. The Deutsche Forschungsgemeinschaft (DFG) has now acknowledged Karl-Peter Hopfner’s contributions to research by awarding him a Leibniz Prize. Although all cells in an organism contain the same genes, only some of the genes are activated in a given cells and others remain inactive. Genes coil around histone proteins in the form of DNA threads. If a gene has to remain inactive, its histones are marked by the PRC2 enzyme so that this gene is locked down and cannot be read. When cells divide and the genes are copied, these histone marks must be placed again, at exactly the same location. The mechanism that enables transmission of this information has now been explained by Jürg Müller from the Max Planck Institute of Biochemistry in Martinsried in a study published in the journal Science. In animals and plants, the genomic DNA in the cell nucleus is wrapped around small proteins known as histones. Jürg Müller, Leader of the Biology of Chromatin Research Group at the MPI of Biochemistry explains: “The DNA is like a big library of books. Each book contains the instruction manual for making a protein. 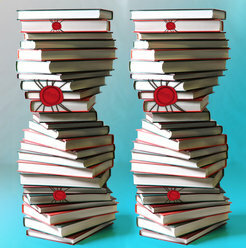 Although the same DNA library is present in all cells, some of the books are ‘sealed’, so they cannot be read. A muscle cell requires other protein-building instructions than an intestinal cell.” An essential mechanism to prevent the expression of genes relies on the chemical marking of histone proteins to permanently “lock down” genes. In the current study, Müller and his team examined how such gene locks are transmitted during cell division. Histones play a key role in determining how accessible a gene is. When genes need to be permanently locked down, their histones are chemically modified by the enzyme PRC2. 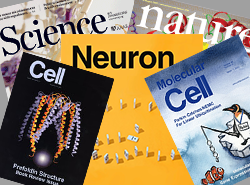 “If we imagine the histones as the binder of the book, PRC2 helps to seal that book and prevent that it gets opened and read,” explains Müller. Laprell F, Finkl K, Müller J. Science, 2017, [Epub ahead of print]. Propagation of Polycomb-repressed chromatin requires sequence-specific recruitment to DNA. Epigenetic inheritance models posit that during Polycomb repression, Polycomb Repressive Complex 2 (PRC2) propagates histone H3K27 tri-methylation (H3K27me3) independently of DNA sequence. We show that insertion of Polycomb Response Element (PRE) DNA into the Drosophila genome creates extended domains of H3K27me3-modified nucleosomes in the flanking chromatin and causes repression of a linked reporter gene. After excision of PRE DNA, H3K27me3 nucleosomes become diluted with each round of DNA replication and reporter gene repression is lost, whereas in replication-stalled cells, H3K27me3 levels stay high and repression persists. Hence, H3K27me3-marked nucleosomes provide a memory of repression that is transmitted in a sequence-independent manner to daughter strand DNA during replication. In contrast, propagation of H3K27 tri-methylation to newly incorporated nucleosomes requires sequence-specific targeting of PRC2 to PRE DNA. A team of Dutch and German researchers under the leadership of Albert Heck and Friedrich Förster has discovered the operation of one of the oldest biological clocks in the world, which is crucial for life on earth as we know it. The researcher from the Max Planck Institute of Biochemistry and the Utrecht University applied a new combination of cutting-edge research techniques. They discovered how the biological clock in cyanobacteria works in detail. Important to understand life, because cyanobacteria were the first organisms on earth producing oxygen via photosynthesis. The results of their research were published in Science. Ten years ago, researchers discovered that the biological clock in cyanobacteria consists of only three protein components: KaiA, KaiB and KaiC. These are the building blocks - the gears, springs and balances - of an ingenious system resembling a precision Swiss timepiece. In 2005, Japanese scientists published an article in Science showing that a solution of these three components in a test tube could run a 24-hour cycle for days when a bit of energy was added. However, the scientists were not able to uncover the exact operation of the system, despite its relative simplicity. Rieckmann, J.C., Geiger, R., Hornburg, D., Wolf, T., Kveler, K., Jarrossay, D., Sallusto, F., Shen-Orr, S.S., Lanzavecchia, A., Mann, M., and Meissner, F.
Nat Immunol, 2017, [Epub ahead of print]. 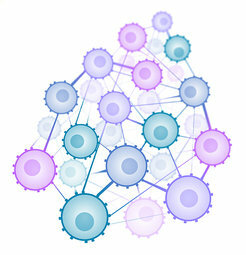 Social network architecture of human immune cells unveiled by quantitative proteomics. The immune system is unique in its dynamic interplay between numerous cell types. However, a system-wide view of how immune cells communicate to protect against disease has not yet been established. We applied high-resolution mass-spectrometry-based proteomics to characterize 28 primary human hematopoietic cell populations in steady and activated states at a depth of >10,000 proteins in total. Protein copy numbers revealed a specialization of immune cells for ligand and receptor expression, thereby connecting distinct immune functions. By integrating total and secreted proteomes, we discovered fundamental intercellular communication structures and previously unknown connections between cell types. Our publicly accessible (http://www.immprot.org/) proteomic resource provides a framework for the orchestration of cellular interplay and a reference for altered communication associated with pathology.